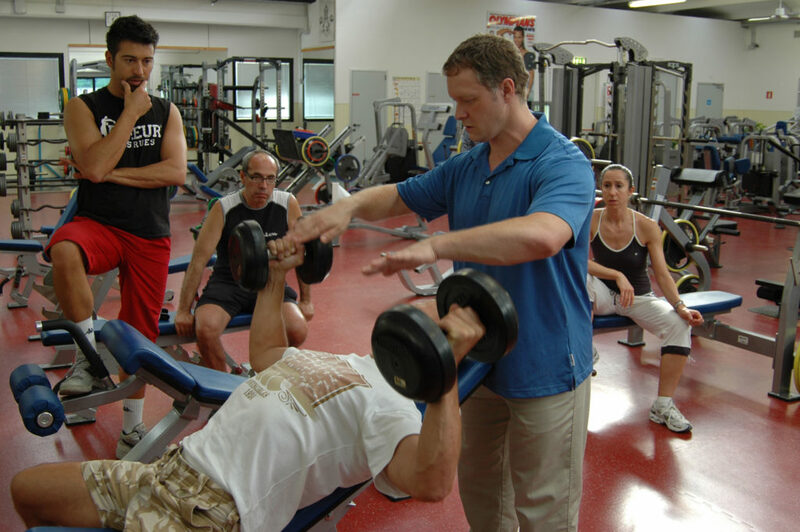 Brian D. Johnston was the founder and President of the International Association of Resistance Trainers (I.A.R.T.) a certification institute for fitness professionals, which he sold in 2009, but remains as Director of Education. He is also the Director of Education for Prescribed Exercise Clinic. Brian has lectured internationally on the topics of sport nutrition, health, and exercise science, was the Editor-in-Chief and contributing writer to both Exercise Protocol and FITT Quarterly, contributor to Ironman magazine and was a strength & conditioning consultant to MET-Rx Engineered Nutrition. He has authored over twenty books, including his latest, Advanced Bodybuilding Methods & Strategies, as well as being the exercise and rehabilitation contributor to the Merck Manual. QUESTION(S) OF THE DAY: How often do you change workout protocol? Please let me know in the comments. Another fantastic podcast, brilliant content, grateful that Brian was selfish enough to share his knowledge (lol)! Cheers Ed :D. It certainly was a different and interesting take on training. Yes, not had the virtue of selfishness explained to me before. It made a lot of sense. You could probably hear my cogs turning…. (light bulb!) Not yet read much Ayn Rand to the probable dismay of my listeners! Very interesting and this guy is a pioneer in this field. I totally agree with him about the consolidation routine as the same happened with me many years ago. Funny how Hit is moving towards more volume though? Don’t worry about not reading Ayn Rand as I think you would like some of her ideas, but find many ridiculous. I have read all her works including the cringe worthy Atlas Shrugged.I couldn’t say it’s so bad it’s good because it is actually terrible but obviously a labour of love. If. you want to read a distinguished philosopher, Bertrand Russell (or if you want to learn about the mind Dan Dennett)) is a good start as recommended by John Little. Ayn Rand’s Introduction to Objectivist Epistemology is a must read if you have not read it yet (insofar as how the mind works). I have not read any Dan Dennet. If that is by Leonards Peikoff I have read it a long time ago and it is very comprehensive. I really like her article “philosophy who needs it” which is very positive. I think Mike Mentzer interpreted objectivism in this way.I did find alot of her work quite bitter and this put me off to a great extent. Enjoyed the podcast and the training advice is excellent! No… it’s by Rand. You’re thinking of the Objectivist Philosophy book… this one is entitled Objectivist Epistemology. Not the “strongest” guest by a long shot. Not intending to denigrate his good work and contribution over the years but the cognitive dissonance was constant. So many non-sequiturs regarding his observations on what “works” for him, almost all subjective anecdotes. I did like his downplaying the role of protein in diet although (at least for maintenance) the rest of his diet included a lot of neurotic straw grasping. Also enough with the Rand nonsense, lol. There’s a difference between rambling on a podcast and detailing 6000 pages of work in 20+ books. My literary work is very consistent and all details linked… more so than I’ve seen in any other work on the subject. Have a good one. Hi Lawrence, actually I foud this podcast to be very interesting and may be because, the Guest offers a different perspective on many topics normally discussed here. I’d like to share my thoughts on some key points as well. 1. Adaptation in sports and in general – Brian’s phylosophy is very clear and there is a lot to the concept of avoiding adaptation as a “negative” factor as in non sports applications of exercise. But as it usually happens in life, when a good idea is taken to exetremes, then most probably it’s value decreases as well. As Mike Mentzer being given as example of how sticking to consolidation routines went too far, same in my opinion may be the case of Brian’s “having clients repeat same exerecise in certain fashion in more than an year…” The idea of doing various exercises per muscle in HIT fashion in different workouts certainly has credit and Brian explained it very interestingly, BUT after a month or even an year one is still adapted…well that’s seems too much. 3. Regarding special training techniques HIT or others, I believe Drew Baye recently put it down in a great fashion saying, that advanced techniques are called advanced, not because they offer any significant advantage, but because you need to be advanced to execute them correctly! 4. Performing reps with limited amplitude is clear, but the fact still is that under different angles and different ranges, the weight handled is going to be different. So I understand why it is valid to do a differnet exercise from time to time, but I doubt the effectiveness of varying your repetition/angle whithin the same exercise. Thank you Lawrence once again for your wonderfull job! Glad to hear you decided to commit to it even more! Thanks Tobias. I shall reach out.